SAN FRANCISCO—Chief Justice Tani G. Cantil-Sakauye today announced, on behalf of the Supreme Court of California, the creation of a Supreme Court International Commercial Arbitration Working Group to study the possibility of allowing foreign and out-of-state attorneys to represent parties in international commercial arbitrations situated in California. The working group is tasked with submitting a report to assist the court in assessing whether foreign and out-of-state attorneys should be permitted to participate in such arbitrations, including an analysis of all relevant California laws and regulations that bear on the issue. The court has directed that the report identify issues and make recommendations for one or more regulatory options that might be appropriate on the topic, and that the report identify the benefits and drawbacks of each recommended option. The court has selected Daniel Kolkey to serve as chair of a diverse working group of lawyers and academics knowledgeable about international commercial arbitration. Members of the group include Fred Bennett, Cedric Chao, Maria Chedid, Professor Jeffrey Dasteel, Sally Harpole, Professor Robert Lutz, Steve Smith, and Professor Abraham Sofaer. Saul Bercovitch will serve as the State Bar liaison to the group, and Carin Fujisaki will serve as the Supreme Court liaison. 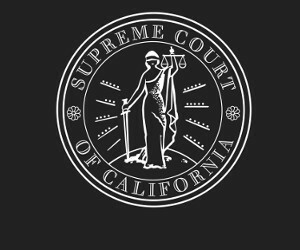 The Supreme Court of California has an interest in ensuring the competent practice of law within California’s borders, and has requested this report to ensure the integrity of any potential California-based international commercial arbitrations involving foreign and out-of-state attorneys.